With a stay at Shanghai Motel 168 in Shanghai (Huangpu), you'll be within a 15-minute drive of The Bund and Jing An Temple. Featured amenities include luggage storage and an elevator (lift). Free self parking is available onsite. 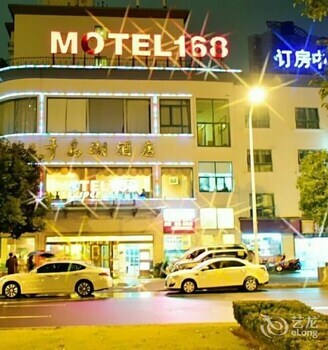 With a stay at Xitang Yuanmeng Inn in Jiaxing, you'll be 11.4 mi (18.3 km) from Shanghai Puji Bridge and 14.3 mi (23 km) from Shanghai Grand View Park. Free self parking is available onsite.